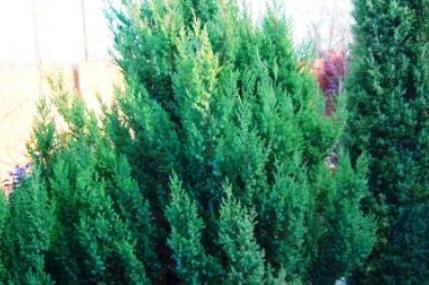 Useful properties of coniferous plants for health and beauty has been known since ancient times. The uniqueness of conifers is not just that they are beneficial properties bypassed many medicinal plants. According to the old tradition, they also clean the energy of the soul. And rejuvenation of the body not far from playing a secondary role. In the needles contains large amounts of vitamins, ascorbic acid, iron. Essential oils included in the composition of coniferous needles, give them a strong bactericidal effect. Crush the pine needles and RUB them. Then lay in the room. Germicidal air purification provided to you. Useful properties of conifers will be happy to work on your immune system. Prepare an infusion of pine needles. To do this, grind 100 grams of pine needles, add two liters of water, bring to a boil. Allow to infuse for 30 minutes. Then add two quarts of cold boiled water. Put in a cool place for 6 hours, take daily half a Cup several times a day. Pine bath will bring your body the maximum benefit. Such baths have a General tonic, enhance immunity, rejuvenate and revitalizes the skin. To prepare softwood bath, pour two handfuls of pine needles a liter of boiling water, boil for 15 - 20 minutes, strain and add to bath water. The duration of a bath maximum for 20 minutes. Water temperature is about 35 degrees. The use of coniferous baths is that they have relaxing properties, and therefore healthy sleep you will be provided. Useful properties of coniferous plants for beauty will help fight hair loss. You can prepare a decoction for rinsing hair or RUB it into the scalp. Coniferous broth, you can add in different facial masks. The pine needles help fight wrinkles. Try to make a face mask with the contents of the needles, and you will be amazed by the changes of your skin. Mask for aging skin is done on the basis of three tablespoons of crushed pine needles, three tablespoons of honey and one tablespoon of olive oil. All thoroughly and apply on problem areas, wash off after twenty minutes. You might not want to get rid of Christmas trees quickly, though longer cleans the air in the room. 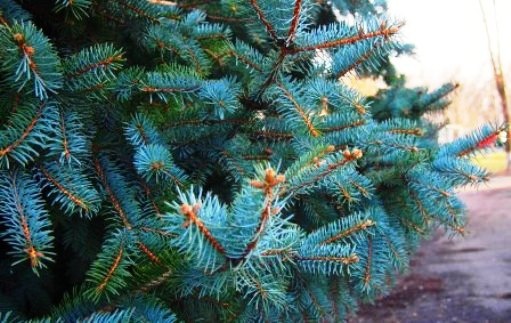 Useful properties of conifers will help restore and strengthen health. Prepare a tonic balsam of pine needles. Grind 5 tablespoons of pine needles, granulate two tablespoons of rose hips, two tablespoons of the husk. Add one liter of water. Put on fire, bring it to boil, keep on low heat for 10 minutes. Wrap or place in thermos for 10 hours. Strain and take several times a day for half a Cup.